New Delhi/Islamabad(PTI) India today again asked Pakistan to grant full and early consular access to its national Kulushbhan Jadav, sentenced to death by a Pakistani military court as the two countries exchanged a list of prisoners lodged in each other’s jails. “India again requested Pakistan to grant full and early consular access to the Indian nationals lodged in the custody of Pakistan, including Hamid Nehal Ansari and Kulbhushan Jadav,” the External Affairs Ministry said in a statement in Delhi. 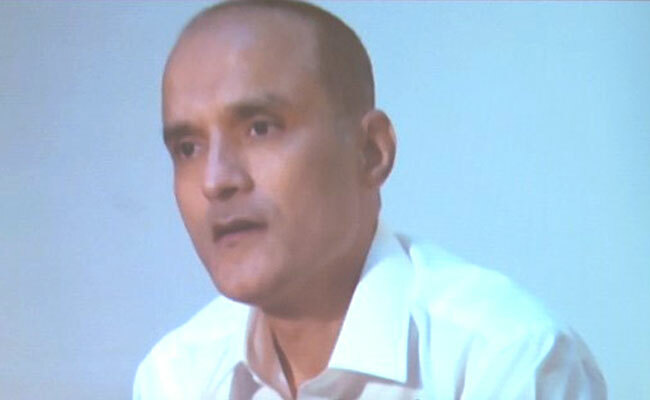 Jadhav was in April sentenced to death by a Pakistani military court on charges of espionage and sabotage activities. India had moved the International Court of Justice (ICJ) against the death penalty. The ICJ on May 18 had restrained Pakistan from executing Jadhav. Ansari, a Mumbai resident, was caught for illegally entering Pakistan from Afghanistan in 2012 reportedly to meet a girl he had befriended online and then went missing. He was later arrested and tried by a Pakistani military court, which pronounced him guilty of espionage. In its list, the Pakistan foreign office said the Indian prisoners included “52 civilians and 494 fishermen”. The lists of prisoners were exchanged as per provisions of the bilateral agreement on consular access which was signed on May 21, 2008. As per the pact, lists of prisoners have to be exchanged twice each year, on January 1 and July 1. “India once again requests Pakistan for the early release and repatriation of Indian prisoners, missing Indian defence personnel and fishermen along with their boats whose nationality has been confirmed by India,” the MEA said. It said India remains committed to address on priority all humanitarian matters with Pakistan, including those pertaining to prisoners and fishermen. “In this context, we await from Pakistan confirmation of nationality of those in India’s custody who are otherwise eligible for release and repatriation,” it said. The Pakistan foreign office said 219 Indian fishermen were released on January 6 and added that Pakistan would release another 77 fishermen and one civilian on July 10.